The delicate oil of Brisighella holds the record of having been the first Italian extra-virgin olive oil to be awarded a Protected Designation of Origin in 1996. The extra-virgin oil of Brisighella was awarded a Protected Designation of Origin in 1996, the first in Italy. 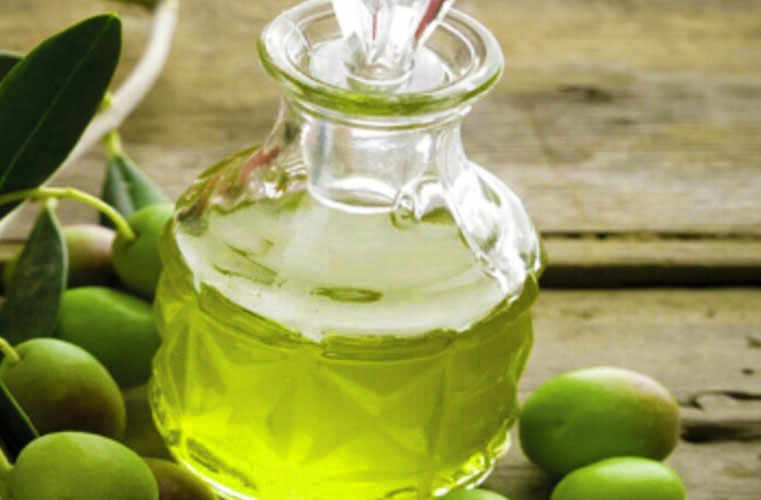 It is a monovarietal oil obtained from the Nostrana di Brisighella olive, in a percentage not inferior to 90%. 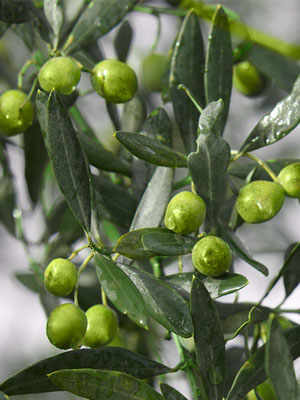 The Ghiacciolo cultivar is another variety that belongs in the designation, which encompasses approximately the whole municipalities of Brisighella, Faenza, Riolo Terme, Casola Valsenio and Modigliana, over an area of 300 hectares with 70,000 olive trees grown in either monoconical or polyconical shapes. The harvest occurs between the months of October and December, immediately before veraison change of colour of the fruits. The olives are hand-picked directly from the plant, collected in small boxes and taken to the olive mill within the next few hours. 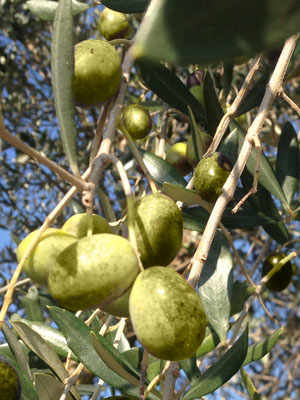 The oil is extracted from the olive paste by means of a two or three-phase system. It is a cold extraction, at a temperature not superior to 27°C. The oil is then centrifuged, filtered or decanted, bottled in dark-coloured glass or tinned, and stored in a cool dry place away from direct sunlight, at temperatures between 14 and 18°C. The extra-virgin olive oil of Brisighella is emerald green with tinges of gold. Its taste is fruity, bitter and sharp. 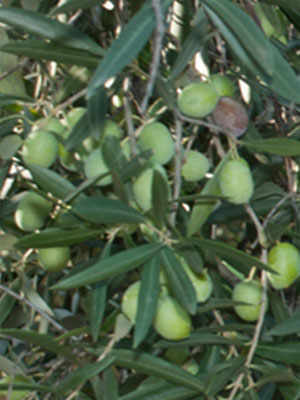 Its smell is typical of the green olive, varying from medium to intense. The bouquet is completed by a scent of artichoke, grass and tomato. The first taste is confirmed by the fruity, bitter and sharp aftertaste, whose persistence is peculiar to the Brisighella designation. The Brisighella Oil DOP has a considerable amount of oleic acid (70-74%) and biophenols, with a tyrosol content not inferior 200mg/kg. 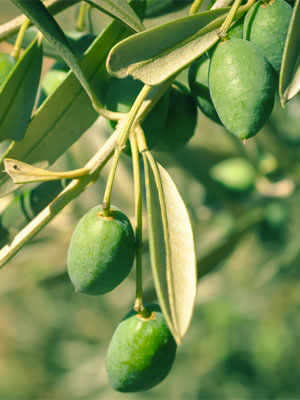 The majority of Brisighella Oil is instrumental in preventing plasma lipids from oxidative stress.